November 21-25, 2018 in Shumen (Bulgaria) was held X international tournament in Informatics. The new season of the International Programming Contest CodeIT will start on October 19th. CodeIT is the most prestigious private programming contest in Bulgaria and one of the oldest in the world which Musala Soft has been organizing since 2000. 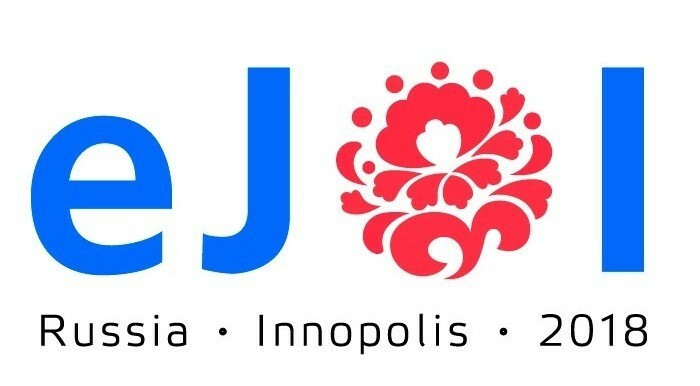 The international school of Informatics "Junior" (ISIJ or School) is initiated by the scientists of national Olympiad in Informatics in Russia together with the organizer of IOI 2016 (Kazan Federal University - KFU, Russia), organizer of the first IOI 1989 and EJOI 2017 (Bulgaria), organizer of EJOI 2018 (Innopolis University, Russia,), organizers of IOI 2000 (Chine) and IOI 1995 (Nederland). ISIJ is organized to prepare national teams of Junior students, to participate in the international Olympiads in Informatics and exchange of methodological experience between the countries participating in the international movement Olympiad in Informatics. The mission of International School in Informatics “Junior” (ISIJ, in the text- School) is to create a space of Olympiads in Informatics startup for all juniors of the world, to unite school teachers and coaches – innovators in Informatics in a single international coaching community, to create a collection of materials for the development of school’s Informatics in the world for talented juniors. IT club is to form a space of formation of profile interests at the junction of science and information technology. YandexContest and Robbo-club are the main partners of the ISIJ. ISIJ and IT clubs (workshops IT company – partners and sponsors of the ISIJ) become the intersection of Olympiad training juniors and the formation of relevant interests in applied computer science for high school students from around the world. The School is held as an international educational forum for national teams of countries participating in the international Olympiad in Informatics (IOI, EJOI, ets). The ISIJ provides classes focused on main Olympiads: EJOI (basic level- B) and IOI (advanced level-A), as well as seminars (IT clubs) on the use of IT in various fields of science and technology. The distance session of the ISIJ is in the autumn-winter months for students ISIJ. All teams of ISIJ countries take part in the Cup in two categories: level A (medal advanced level) and level B ( medal Basic level) . The School program provides Robbo-club (Robbo-company) and International Junior Cup Robbo (IJC-Robbo). The Junior teams of ISIJ countries (no more than 4 participants in the team) can take part in the competition. Nominations in the Cup are established by the Robbo-company. The best team gets the main prize " IJC-Robbo"
The team from a country consists of 2 to 6 participants and one team-coach. Age of participants is supposed 13, but to be not older than 16 years by the end of the year. The student can choose the level of training: advanced (A) or basic (B). International School in Informatics "Junior"